The color white, like black goes well with almost any color. It is known for its purity, cleanliness and innocence. In most Western countries the color white is used for brides. In Eastern countries the color white is used for mourning and funerals. A Red, White and Blue combinations creates a patriotic palette. When white is mixed with light or pastel tones it exudes a soft spring-like palette. When white is mixed with colors such as red, blue and green it makes the colors appear brighter and more prominent. 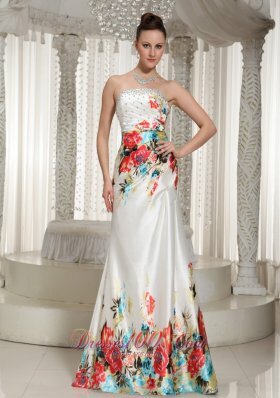 Shop today for your white Prom Dress!